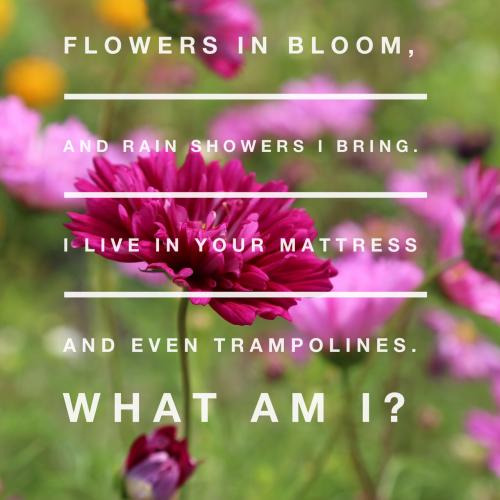 Searching for a great collection of April riddles? Look no further, we've put together an original list of riddles and answers to solve and share with friends. April aka "spring fever" is the month where we adjust our clocks into springing forward an hour. It's also the month of zodiac signs Aeries and Taurus. It's known for many other things as well such as Stress Awareness Month, Autism Awareness Month, Jazz Appreciation Month & more. Many of the questions you have to solve will challenge your brain and can be very trivial. This is your opportunity to test you knowledge on how well you really know the month of April! Here we also provide hints with some of riddles you're answering if you're completely stumped and don't want a dead giveaway. Use the timer in the top right corner to make things a little more challenging giving yourself 30 seconds to solve. So how well do you think you know the month of April? Lets figure it out, have fun solving and don't forget to share! Why did the Pilgrims want to sail to America in April instead of November? What falls but never gets hurt? Why is everyone so tired on April 1st? Because they've just finished a long, 31 day March! Toms mother has three children. One is named April, one is named May. What is the third one named? Why are Saint Patrick's Day and April 15 alike? On Saint Patrick's Day you wear green, and on April 15 the government takes away your green. Why was everyone so tired on April 1st? They had just finished a March of 31 days! 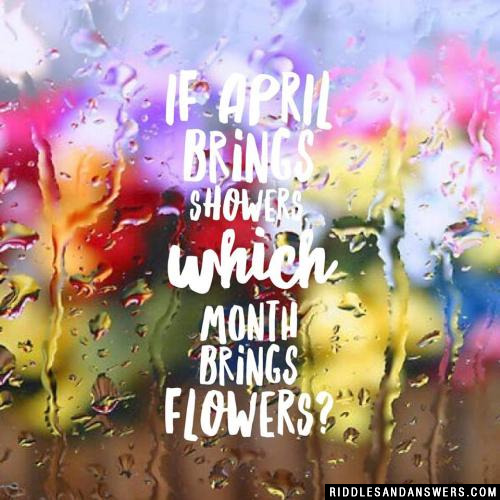 If April brings showers, which month brings flowers? When do monkeys fall from the sky? When do princes become kings? Mostly in April, when the rains (reigns) begin. Can you come up with a cool, funny or clever April Riddles of your own? Post it below (without the answer) to see if you can stump our users.